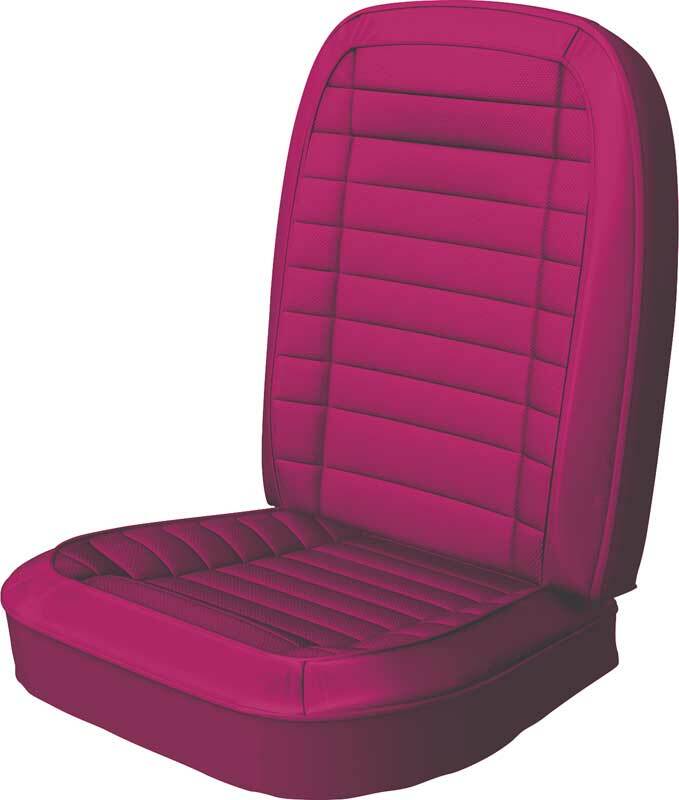 Reproduction of the original upholstery utilizing Comfortweave style inserts. Each set will replace your existing original upholstery exactly, and once installed, give you a beautiful factory fresh appearance. Includes a combination of Madrid outer vinyl with Comfortweave inserts. Inserts feature dialectrically sealed horizontal pleats and stitch bar. Note: Headrest covers not included. The comfortweave material is slightly different from original but w ill closely resemble original material.